In order to identify the underlying causes of difficult behaviors in children with Asperger’s (AS) and High-Functioning Autism (HFA), a Functional Behavioral Assessment (FBA) must be performed. An FBA is an approach that incorporates a variety of techniques to diagnose the causes and to identify likely interventions intended to address difficult behaviors. An FBA looks beyond the actual problem behavior, and instead, focuses on identifying biological, social, affective, and environmental factors that initiate, sustain, or end the problem behavior in question. The FBA is important because it leads the researcher beyond the "symptom" (i.e., the behavior) to the child's underlying motivation to escape, avoid, or get something (i.e., the cause of the behavior). Behavior intervention plans stemming from the knowledge of why a child misbehaves are extremely useful in addressing a wide range of issues. The “functions” of behavior are not usually considered inappropriate. Rather, it is the behavior itself that is judged appropriate or inappropriate. For example, getting good grades and engaging in problematic behavior may serve the same function (e.g., to get attention), but the behaviors that lead to good grades are judged to be more appropriate than those that make up acting-out behavior. As an example, if the IEP team determines through an FBA that a child is seeking attention by misbehaving, they can develop a plan to teach the child more appropriate ways to gain attention, thus fulfilling the child's need for attention with an alternative behavior that serves the same function as the inappropriate behavior. By incorporating an FBA into the IEP process, team members can develop a plan that teaches “replacement behaviors” that serve the same function as the difficult behavior. Before an FBA can be implemented, it is necessary to identify the behavior that is causing problems, and to define that behavior in concrete terms that are easy to communicate and simple to measure and record. If descriptions of behaviors are vague (e.g., child has a “bad attitude”), it is difficult to determine appropriate interventions. It will be necessary to observe the child's behavior in different settings and during different types of activities, and to conduct interviews with parents and teachers in order to identify the specific traits of the behavior. Once the difficult behavior has been defined concretely, the IEP team can begin to devise a plan for conducting an FBA to determine the functions of the behavior. Are there any settings where the problem behavior does not occur? Does the child find any value in engaging in appropriate behavior? Does the child have the skills necessary to perform expected behaviors? Does the child realize that he is engaging in unacceptable behavior, or has that behavior simply become a "habit"? Does the child understand the behavioral expectations for the situation? In what settings is the problem behavior observed? Is it possible that the child is uncertain about the appropriateness of the behavior? Is it within the child's power to control the behavior, or does she need support? Is the behavior problem associated with certain social or environmental conditions? Is the child attempting to avoid a demanding task? Is there a more acceptable behavior that might replace this behavior? Is there evidence to suggest that the child does not know how to perform the skill – and therefore can’t? What activities or interactions take place just prior to the behavior? What current rules, routines, or expectations does the child consider irrelevant? What usually happens immediately after the behavior? Who is present when the behavior occurs? 1. Hypothesis statement— Drawing on information that emerges from the analysis, school staff can establish a “working hypothesis” regarding the function of the behaviors in question. This hypothesis predicts the general conditions under which the behavior is most - and least - likely to occur, as well as the likely consequences that serve to maintain it. 2. 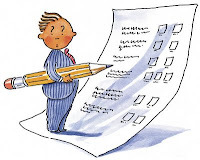 Direct assessment— Direct assessment involves observing and recording situational factors surrounding a difficult behavior (e.g., antecedent and consequent events). A member of the IEP team may observe the behavior in the setting that it is likely to occur, and record data using an Antecedent- Behavior- Consequence (ABC) approach. 3. Data analysis— Once the IEP team is satisfied that enough data have been collected, they should compare and analyze the data. This analysis will help the team to determine whether or not there are any patterns associated with the behavior. If patterns can’t be determined, the team should revise the FBA to identify other methods for assessing behavior. After collecting data on a child's behavior, and after developing a hypothesis of the function of that behavior, the IEP team should develop the child's behavior intervention plan. It is helpful to use the data collected during the FBA to develop the plan and to determine the discrepancy between the youngster's actual and expected behavior. Intervention plans emphasizing the skills that AS and HFA children need in order to behave in a more appropriate manner will be more effective than plans that simply serve to control behavior. Interventions based upon “control” often fail to generalize (i.e., fail to continue to be used for long periods of time, in many settings, and in a variety of situations). Control measures usually only serve to suppress behavior, resulting in the youngster meeting unaddressed needs in alternative, inappropriate ways. In addition, IEP teams must determine a timeline for implementation and reassessment, and specify the degree of behavior change consistent with the goal of the overall intervention. It is clear that the original behavior intervention plan is not bringing about positive changes in the child's behavior. The situation has changed, and the behavioral interventions no longer address the current needs of the child. The youngster has reached his behavioral goals and objectives, and new goals and objectives need to be established. The IEP team makes a change in placement. If done correctly, the net result of an FBA is that school personnel are better able to provide an educational environment that addresses the special learning needs of the AS/HFA child.